You must be 18 years or older to purchase items from this website. 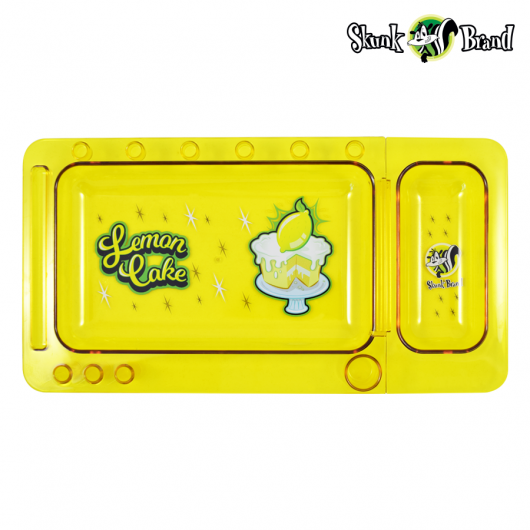 The skunk rolling tray will certainly add a bit of colour to your day! Each Skunk rolling tray features a removable mini tray to help keep all of your legal herbs organised, also with plenty of compartments for rollies, lighters and more! Choose between two tasty styles: Lemon Cake or Cherry Pie!